Join us for a roundtable discussion on how accounting firms can deal with their clients facing insolvency. In light of the increasing uncertainty facing companies in various industries, accounting firms should consider how to manage clients that currently are facing (or may soon face) financial distress. Join us for a roundtable discussion on how accounting firms can "prepare for the worst" through their client engagement agreements, what firms should do when they detect warning signs of financial trouble, and how they may reduce their losses if a client becomes insolvent. Drafting engagement letters with an eye toward mitigating future insolvency and bankruptcy risks. Managing financial problems with your clients early on. Getting paid on your outstanding invoices. Issues to consider when you contemplate terminating an engagement. Minimizing preference and fraudulent transfer risks. What to do if the client ends up in bankruptcy, including getting retained to provide services to a client during its bankruptcy case. For more information regarding refund, complaint, and/or program cancellations policies, please contact Emily Musson at 212-702-3162. 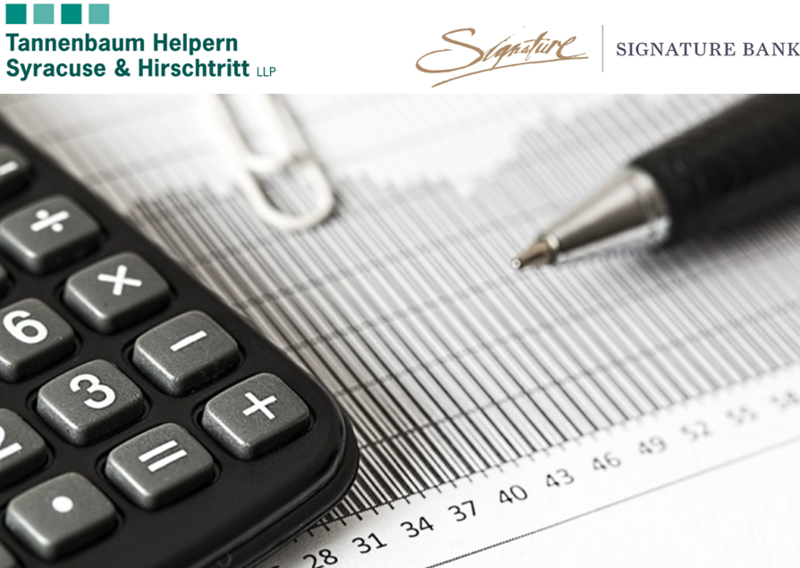 Tannenbaum Helpern Syracuse & Hirschtritt LLP is registered with the National Association of State Boards of Accountancy (NASBA) as a sponsor of continuing professional education on the National Registry of CPE Sponsors. State boards of accountancy have the final authority on the acceptance of individual courses for CPE credit. Complaints regarding registered sponsors may be submitted to the national Registry of CPE Sponsors through its website: www.learningmarket.org.